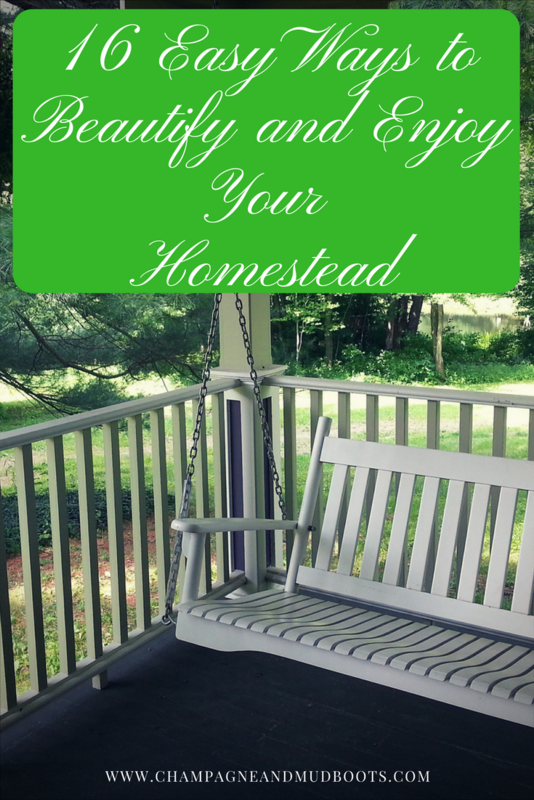 Just because you are living on a homestead doesn’t mean it has to be boring or drab. One of the great advantages of living outside a HOA is the ability to create your own little design world. 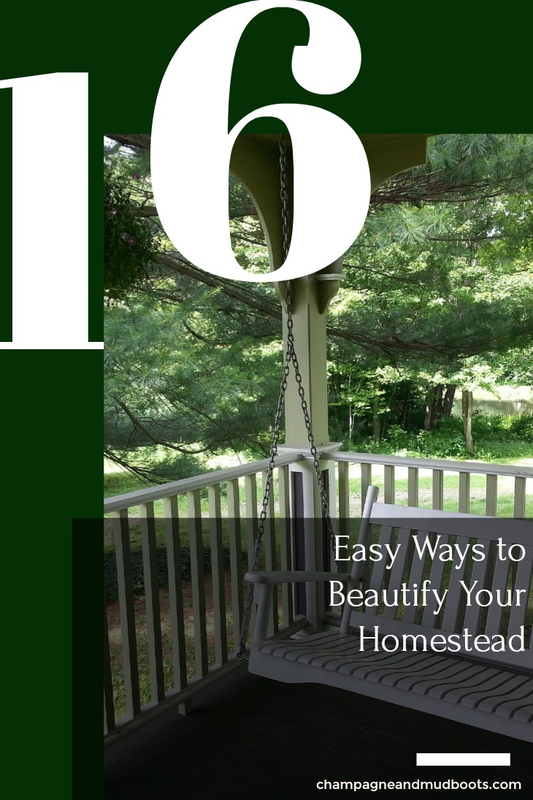 All of these ideas help beautify your homestead and provide opportunities to truly enjoy it! It is so easy – and I know my husband and I are guilty of this – to want to run from project to project with endless homestead to-do lists. It is hard to just pause sometimes and enjoy the ride and your surroundings. We as families need this more than ever as a time to connect and just enjoy each other’s company. 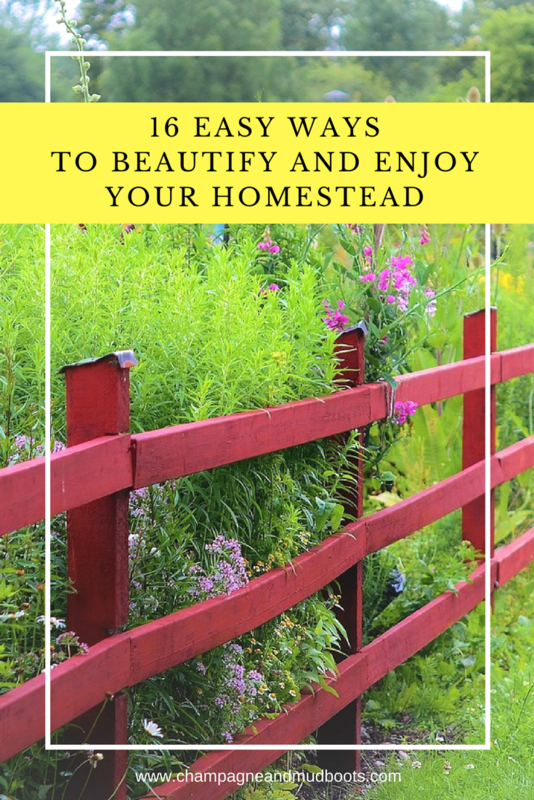 This will provide you with 16 ideas to increase the “Wow” factor and provide little moments of daily joy around the homestead. Old brass chandeliers are a dime a dozen. 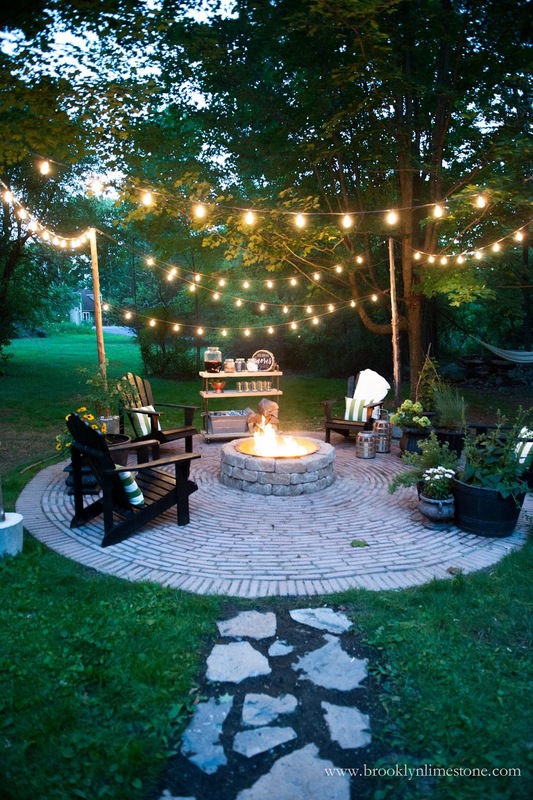 However, when repainted and re-purposed to hang outside with solar lights or candles setup for special occasions, they instantly ‘up’ the wow factor. All for the cost of a broken light fixture at a resale shop and a can of spray paint! 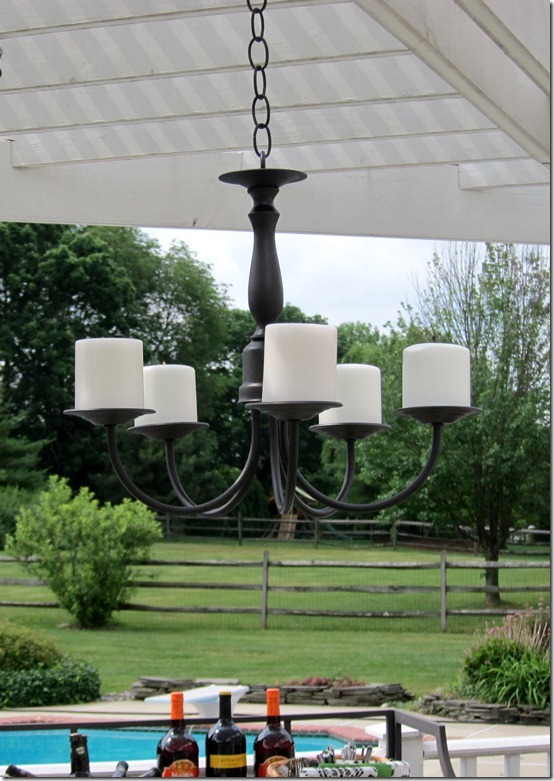 Diane at InMyOwnStyle provides a tutorial for this easy and affordable chandelier conversion. 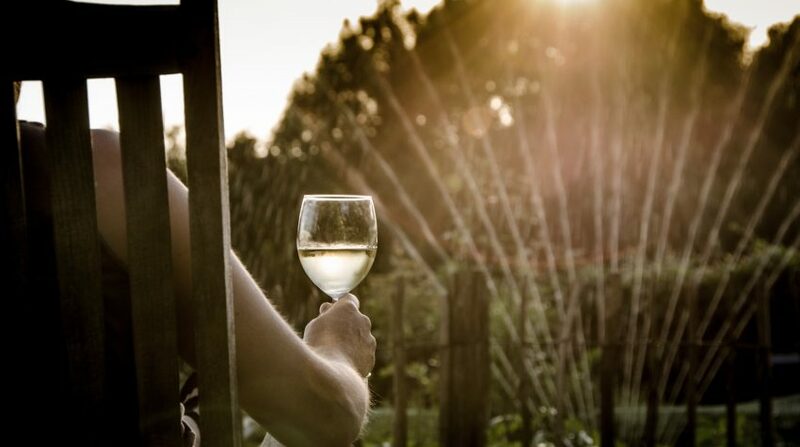 And you don’t have to limit their use to the patio. These add glamour in unexpected places hanging in trees, the chicken coop, or in the garden. If you keep it out of the coop you could convert it to a candle lit chandelier like the one shown. These are more expensive than a broken light fixture, but they instantly add a festive nature wherever you place them. 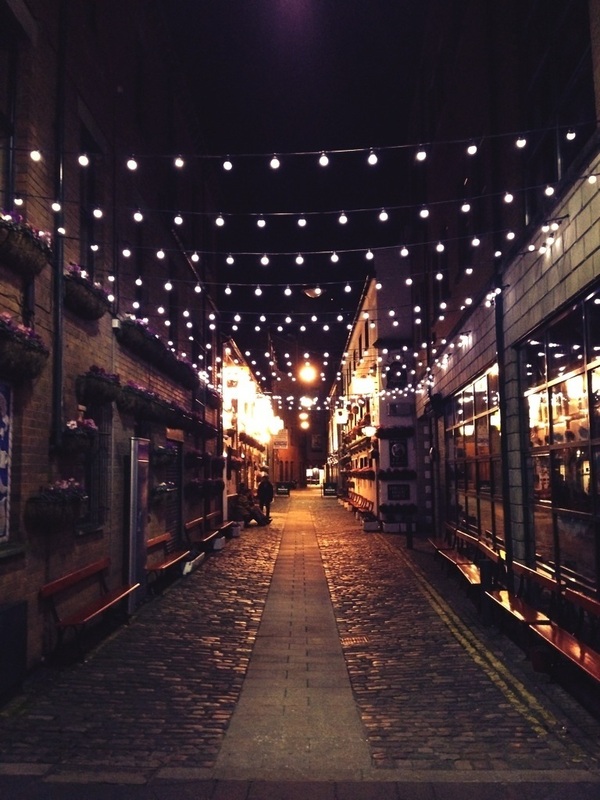 They remind me of streets in Rome or New York, with cozy restaurants and happy laughing patrons dining with wine. Small effort, instant impact! Simply plugging them in during the evening while eating a dinner outside elevates the experience and gives it a sense of ‘occasion’. And who doesn’t need a few more little special moments in their life? Unlike the streets of Rome or New York, you can sit an enjoy the lights while the kids run off to play after dinner as well. 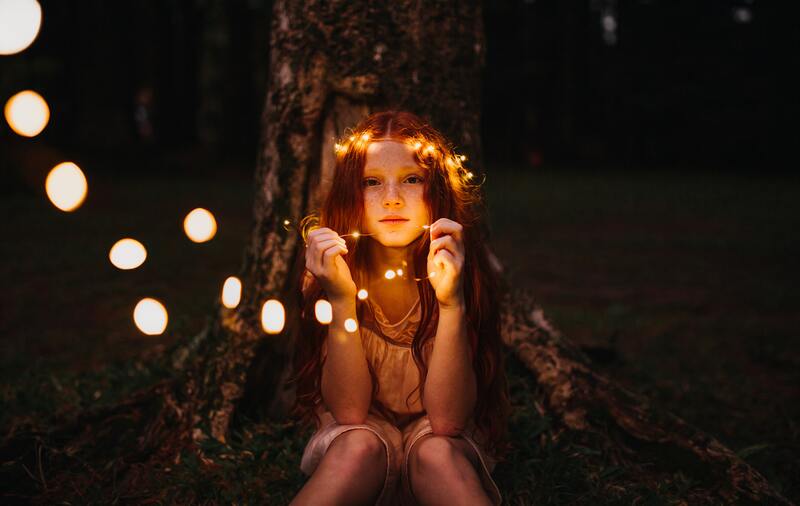 Tiny beautiful lights that are solar powered automatically come on at dusk and provide little magical areas. You can place them in natural bushes for a glow from the edge of the wood or in climbing vines. The best part is they are solar so once placed you don’t even have to turn them on. They just do their job twinkling with merriment and you don’t have to worry about it. There are many great ideas such as cute signs, mirrors, archways around the gate, and areas to hang potted plants. 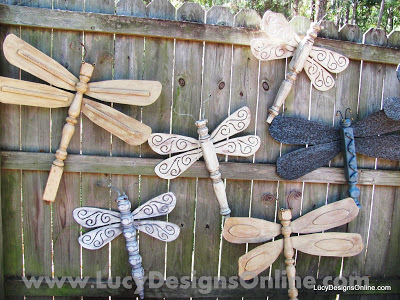 These cleaver dragonflies are from Lucy Designs Online. They are a great way to reuse materials and provide charm in the garden. Hanging potted plants on the fence is attractive too, but I haven’t tried that idea since we live in Texas and I’m doing good to water the plants in the ground let alone a pot on the fence, but they look soooo cute. A garden really should be tended daily in at least some fashion, so why not make it a beautiful place to work? These are good winter projects when you aren’t in the midst of harvesting or planting. 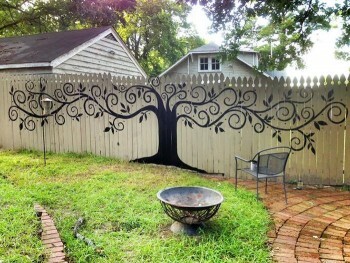 If you (or a willing friend you could bribe) are artistic, you could brighten up backyard or garden fences with a mural. This tree from BlessMyWeeds adds whimsy without being overly colorful. Or if you want more color, check out this beautiful one with butterflies and flowers- it completely brighten up the area. Lori Gomez has amazing creations for fences that are true works of art. I suppose you could even do it on a canvas that was hung on the fence if you were concerned about having to repaint or changing your mind about it. This option may be easier if you didn’t want to paint and preferred the look of a stained fence. 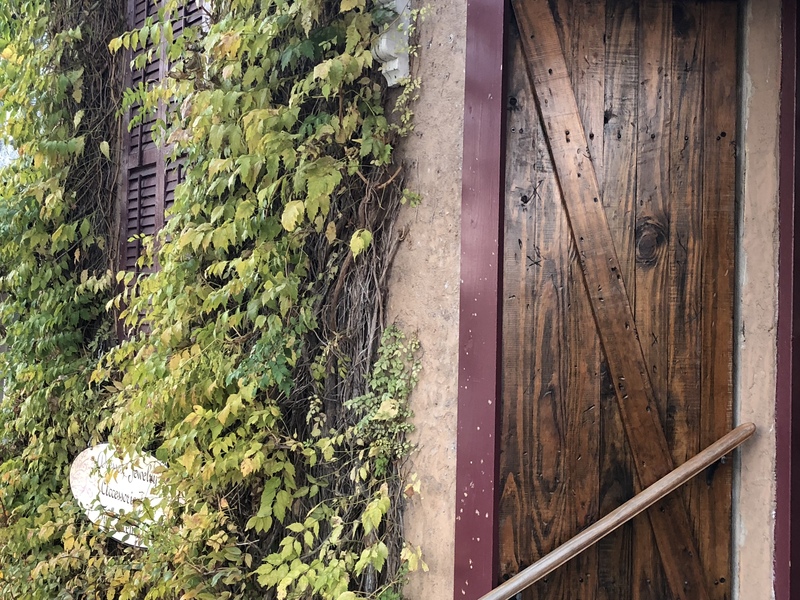 It’s certainly a little riskier if you are lacking in the artistry department, but there is great potential for quirky coolness with it in the proper setting. Other options along this same line of thinking would be painting quotes on the fence, or even writing words with moss. If your climate allows for good moss growth, this natural graffiti is incredibly striking. 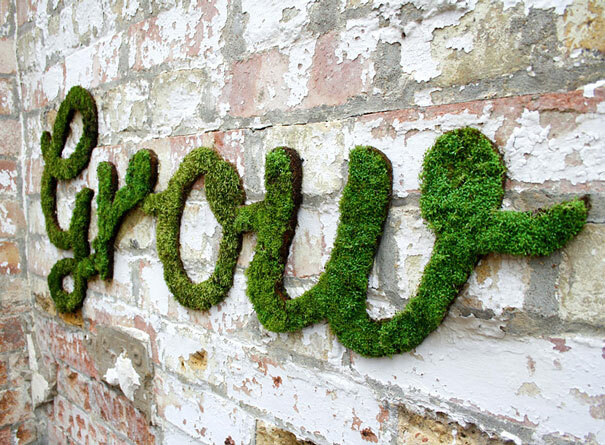 This ‘Grow’ image is from artist Anna Garforth. She has other interesting images at her site. Wikihow has instructions on how to concoct your own green mossy mixture. You basically do it by grinding up moss into a sludge with some other growth medium ingredients, and then paint it onto a wall so it grows in the predetermined shape. My husband should be glad Texas doesn’t have a more suitable moss growing climate or I would have moss words written all over our property! 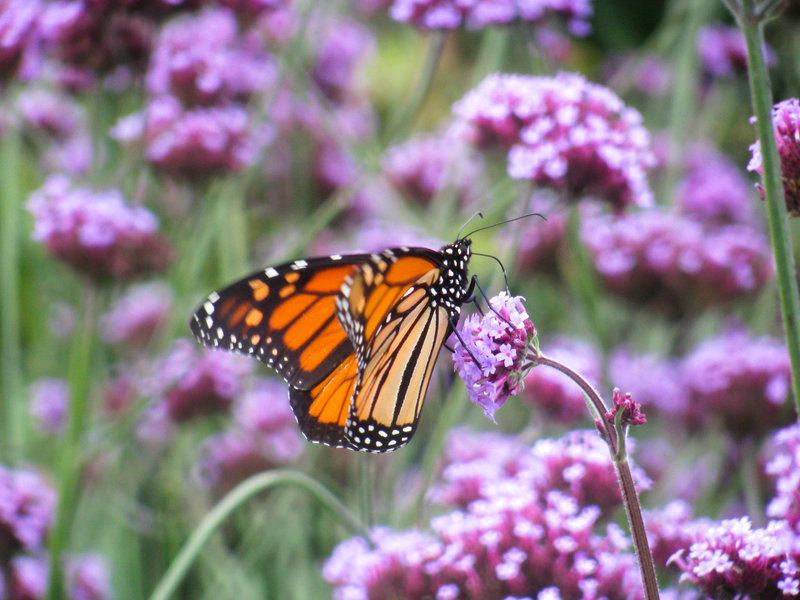 Not only do flowers look beautiful in the garden but they attract pollinators like bees and butterflies. Edging the garden with flowers provides a beautiful and productive addition. They also provide you with the ability to have fresh cut flowers in your house! A humble mason jar with garden flowers is both simple and sweet. 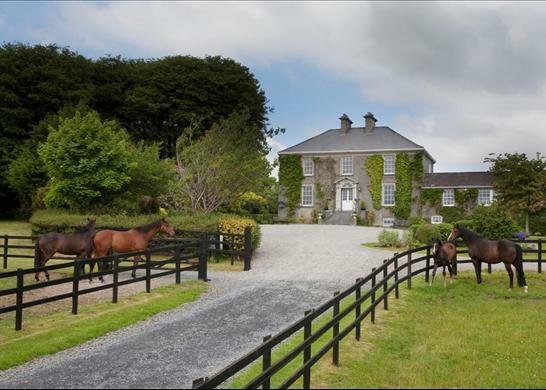 Now I don’t want to assume, but I’m guessing neither you nor me live on an Irish Estate like this gorgeous photo from Alkemie. However, if you do live there, please invite me over for tea! Even if we aren’t living on a grand estate, we can take a few style tips from it. We had to repaint and re-stain some areas of our home due to a hail storm and chose black for the garage doors and a very dark brown (almost black) stain for the perimeter fence. Both areas now provide much bigger focal points and were an easy way to give an upscale look without changing actual structures on the homestead. This one is about both beauty and ease from a daily chore perspective. Form and function! Arranging feed, hay and supplies makes life so much better. Securing all feed in cans to prevent rodents from eating it is essential, and having everything easily accessible lowers stress levels. We interact with this room every morning and night, so why start and end the day with the stress of fighting past hay bales to get to chicken feed? 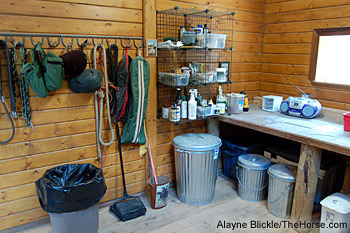 This particular horse tack room is from Alayne Blickle and she writes about ways to fight mold in the tack room. While each tack room will be different depending on the needs of your specific livestock, the biggest aspect to this one is organization. I hope to add fun details to ours at some point but the biggest relief is just having some order to it all. Another good winter project. You can build one yourself, or find a larger old table and paint it so it could live outside and develop character. I am in love with this darker stained farm table. 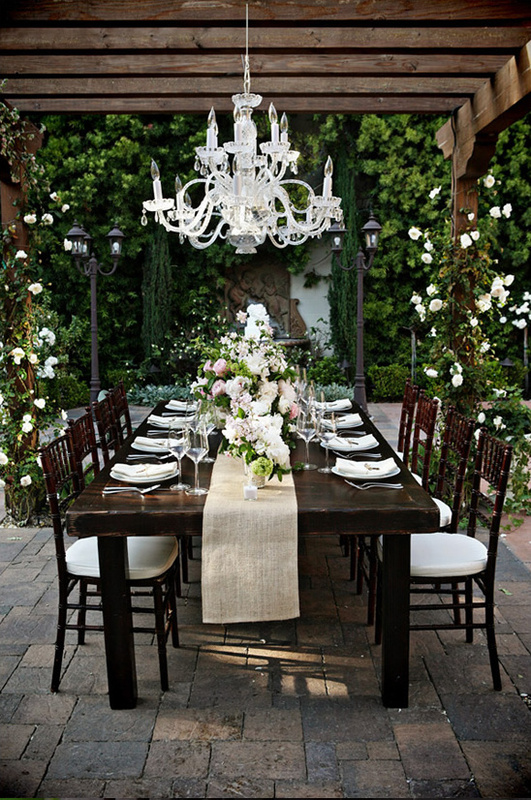 This is from a wedding on the Wedding Chicks website but the same idea can be applied to your patio with a little elbow grease and a maybe a chandelier or two! A unique outdoor table with the bulb lights strung over it provides for magnificent outdoor dining. You could be eating mac and cheese, but in a setting like this it doesn’t matter as it’s just pretty to be there. However, adding some china creates an outdoor scenario like eating at an estate vineyard looking out over the Italian countryside. 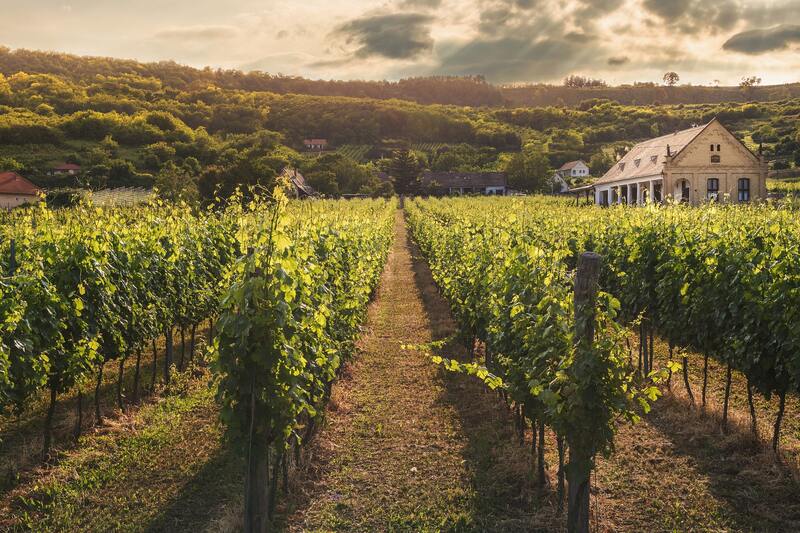 Now, maybe your thinking, “I don’t have a vineyard and my house sure isn’t in Italy!” But it’s about creating these little experiences that elevate the mundane doldrums of the day and add extra pizzazz into our life. It also provides a fun experience for friends that visit. Remember, you may be used to farm animals out your window, but if you have friends from suburbia over, this is all a completely new and intriguing experience. You could have it at the edge of the garden, or if you are just now designing your space, you can even incorporate it into the middle of it all. It provides an opportunity for a true ‘farm to table’ dining experience. Plus, it also provides a spot for kids to be at, if you need to be working in the garden and they are tired of pulling weeds and otherwise helping. 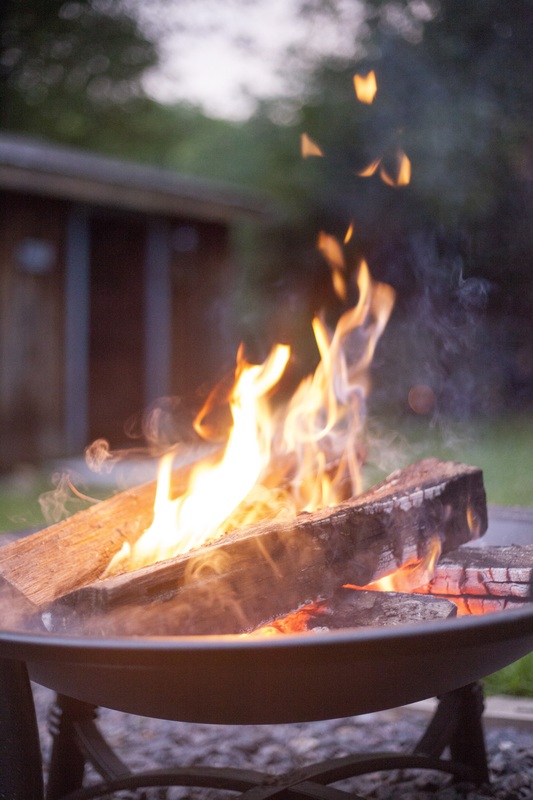 Do you have a fire pit? 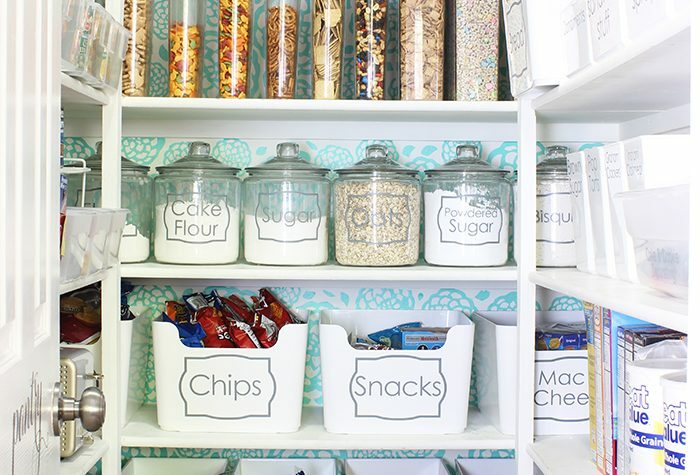 If not, it can be an inexpensive way to provide a gathering point and encourage long talks into the evening. I’ll admit I’m not a huge fan of my hair smelling like campfire, but my husband LOVES them and so do plenty of our friends. The kids are mesmerized, especially if s’mores are involved. There is something about the flickering flames that lures you in. Maybe it’s a primal thing, but people are drawn to the light and warmth, and campfires just encourage discussion. They are especially fun on chilly nights, and it doesn’t take much prep to get maximum effect. Ivy added to trellises in the yard or on the house evokes images of English gardens or upscale old homes. If you didn’t want it to have the more reserved look of ivy, climbing roses provide a more casual effect but they may be more work depending on the variety. The sound of moving water is instantly relaxing. 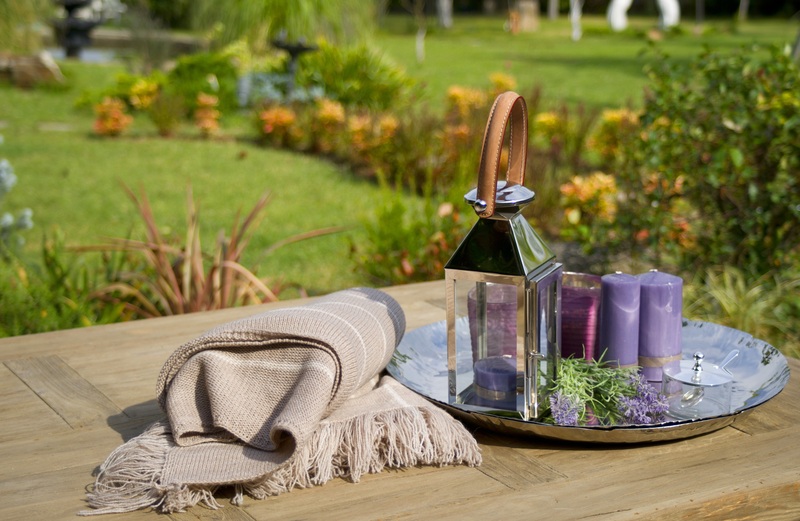 If you can get your hands on a fountain, it adds so much to an outdoor space. We found a large one on Craigslist, so you certainly don’t have to buy new. 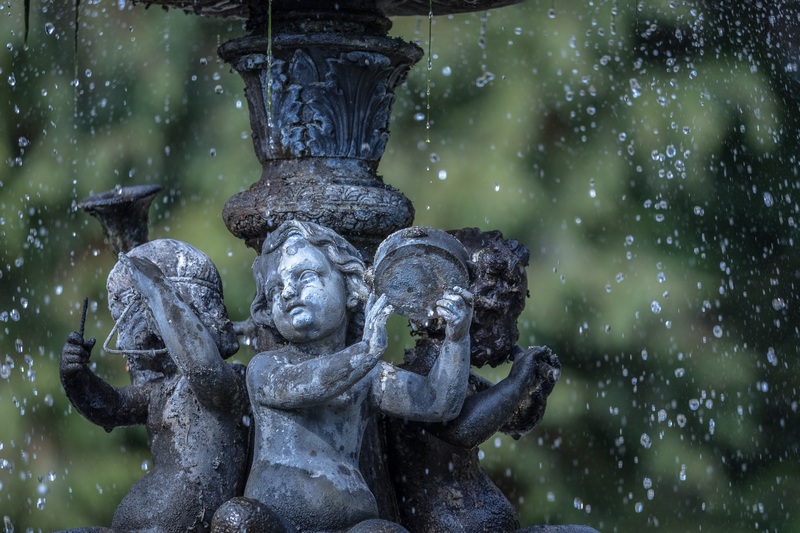 If anything, used fountains have more patina and are even more attractive. The hardest part is moving them. They are incredibly heavy, and depending on the age of your kids, one may or may not be suitable. Our fountain is mostly disassembled right now due to safety concerns, since a certain small human wouldn’t stop trying to climb it… However, if your human spawn are old enough to not climb fountains, I highly recommend them. 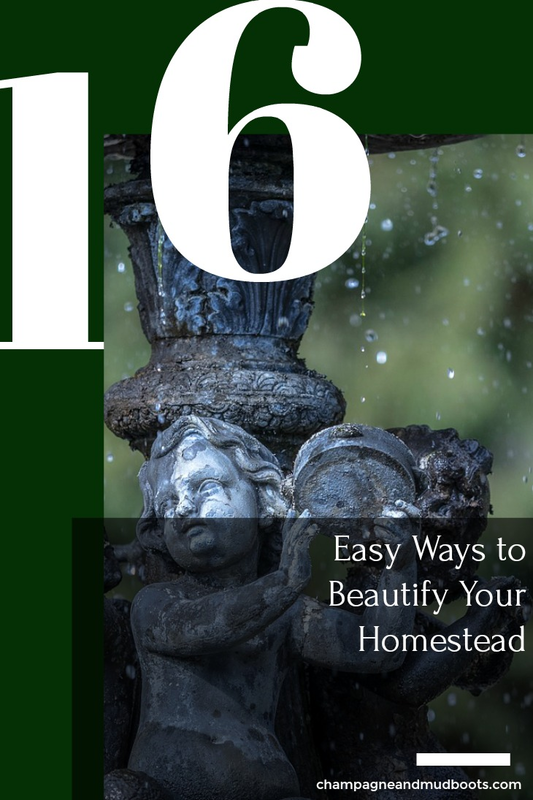 If fountains are not in your future, hanging water features can add interest and delight to every rainstorm. Not only will you enjoy not having to water the garden, you can enjoy the raindrops and little bells as the water trickles down each level. This beautiful chain is from artist Lindsay Scott at Cowdawg Creations. The copper looks amazing but there are some DIY options that can provide a similar essence. 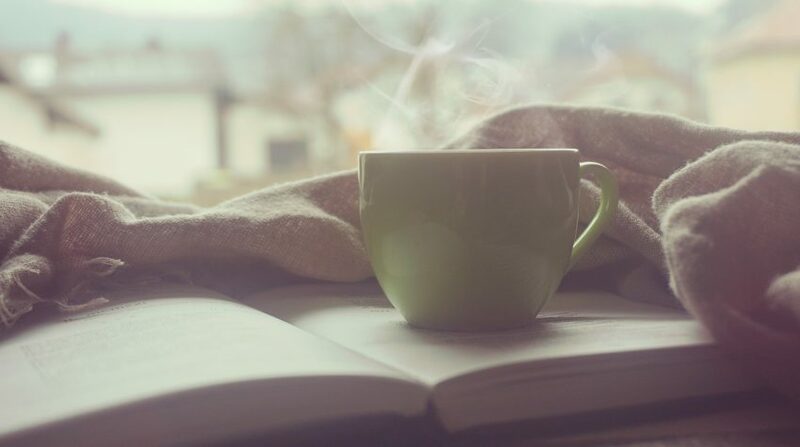 I’d like to say you can listen to them as you sip warm tea from a mug with a good book and fuzzy socks, but if you are anything like me, your to do list is far too long for rainy afternoons of leisure. However, even 10 minutes of just watching the rain and soaking up the moment can decrease your stress level, to re-center and refresh you to prepare and tackle your never-ending lists. 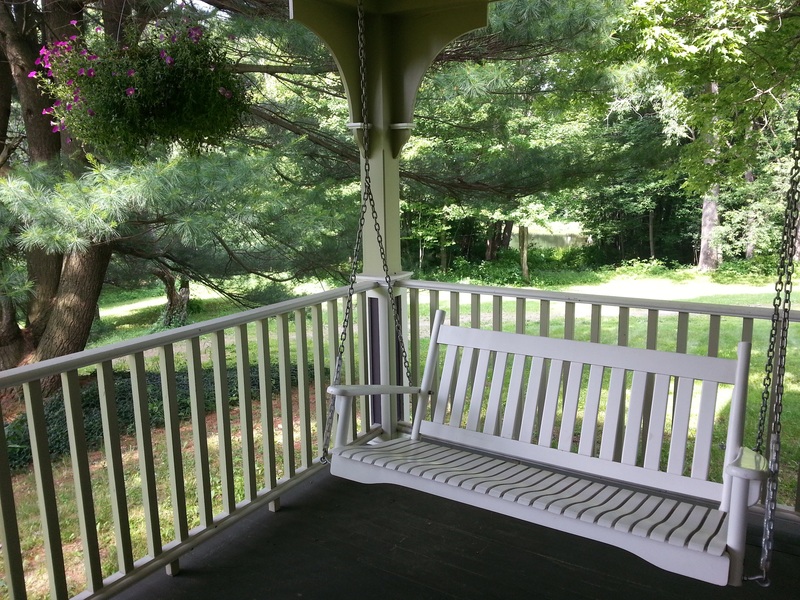 If you have a porch with enough space and it doesn’t have a swing, it likely feels naked. A good swing with some bright pillows begs for someone to sit down with tea or lemonade. Even if you have other tables and seating on a front porch, a swing adds some fun. You can even forgo pillows and leave as bare wood, if you know you are most likely to use it after you are covered in dirt from working with livestock or in the garden. The idea is to make it accessible and to work for you. Our livestock… we see them every day and tend to them, but how often do we enjoy and delight in them? 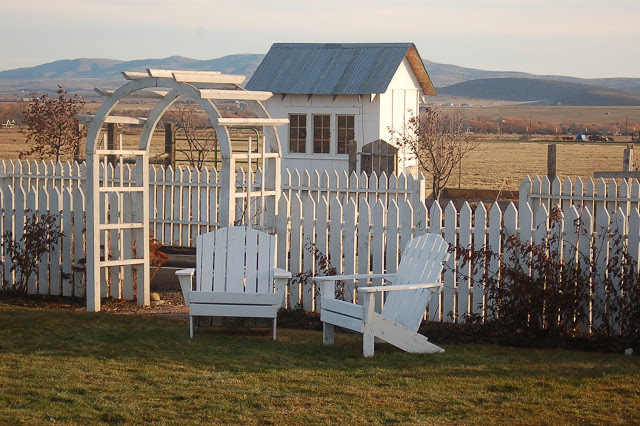 A few Adirondack Chairs or a simple bench out near the pasture or close to the coop provides a great view to soak up the peacefulness and natural beauty of your animals. These cute little chairs from Fairview Farm Life are placed perfectly near the coop, but outside the range of poop! Chickens strutting and chasing bugs, goats jumping and being playful, and the sheer calm of watching cattle graze. Lest you think that taking a break and watching the world go by is lazy, realize that relaxed observation of your animals provides an up close and personal view of their behavior. You have to know their ‘normal’ behavior to catch the abnormal behaviors, especially before it becomes a bigger problem. The more in-tune you are with your animals, the faster you will find any problems, which means better care for the animals and less expenses and worries for you.